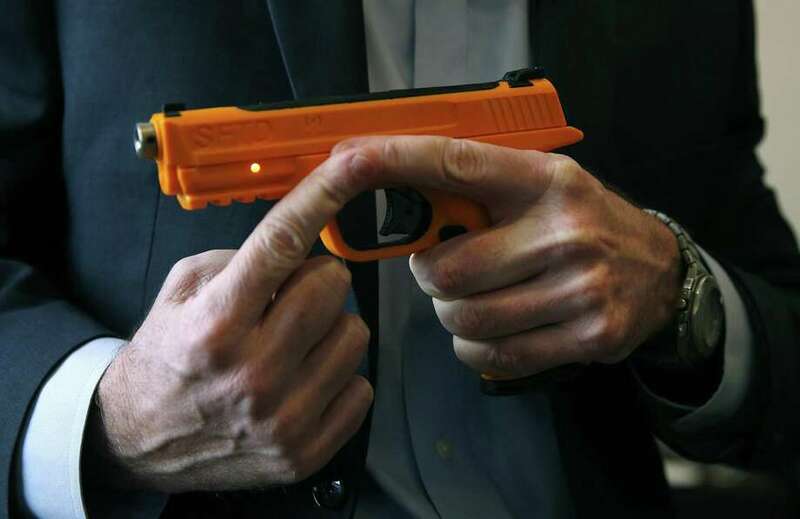 WASHINGTON — Connecticut has become ground zero of sorts for spurring development of smart guns that use technology to prevent accidental or unauthorized discharge of firearms, particularly by children. Other Connecticut jurisdictions signing on to the RFI include Bridgeport, Fairfield, Milford, New Haven, Newtown, Norwalk, Stratford and Westport. Overseeing the drive is the nonprofit Metro Industrial Areas Foundation, a nationwide alliance of faith and community-based organizations whose Connecticut affiliate is CONECT — Congregations Organized for a New Connecticut. Smart guns would require a fingerprint or some other biometric measure to operate. Such weapons clearly would not be impervious to misuse in mass shootings or other acts of violence. But proponents argue they might deter shooters like Adam Lanza, who seized his mother’s weapons and killed her before embarking on the murderous rampage at Sandy Hook Elementary School in 2012 in which 20 children and six adult staff members were shot to death. Smart guns also could curb the rising number of accidental deaths caused by children playing with loaded guns. For now, the group wants police departments to exercise their purchasing power by ordering weapons only from manufacturers who have committed to developing smart-gun technology. “Our focus is not getting police departments to buy smart guns,’’ said Rabbi Michael Friedman of Temple Israel in Westport, who was among the clergy members affiliated with CONECT to attend a Do Not Stand Idly By meeting in Washington. “Our focus is getting police to use their purchasing power to move the market place, so that gun manufacturers will have incentives” to develop and sell smart guns to the public. Gun manufacturers and the National Rifle Association have insisted that the development and distribution of smart guns should be entirely a matter of market demand. DNSIB leaders say that in their meetings with gun manufacturers, several have suggested they consult with their trade organization, the Newtown-based National Shooting Sports Foundation. “We have tried several times (but) the NSSF refuses to meet,” the said in a release distributed at the meeting. The NSSF did not respond to an emailed request for comment. Some police groups have expressed antipathy toward smart guns, concerned that such new technology may malfunction when officers need to draw weapons and fire rapidly. New Haven Mayor Toni Harp, who attended the meeting, said she had raised the subject with the city’s police department. “But at that time there wasn’t anything they were comfortable with,’’ she said. Harp expressed interest in a pilot program to test the feasibility of smart guns, once they become more widely available on the market. But “all things have to be negotiated with the union,” she was quick to add. The city has approximately 350 police officers.